Jeanne F. Jalandoni is a Filipina-American artist born and raised in New York City. Jalandoni received her BFA from New York University in Studio Art (2015) and is a current artist-in-residence at 36 Chase & Barns Residency (North Adams, MA; affiliated with Gallery 6/67, Santa Ana, CA). Jalandoni’s preferred medium is oils, but she has recently branched out to working with textile and sculpture. 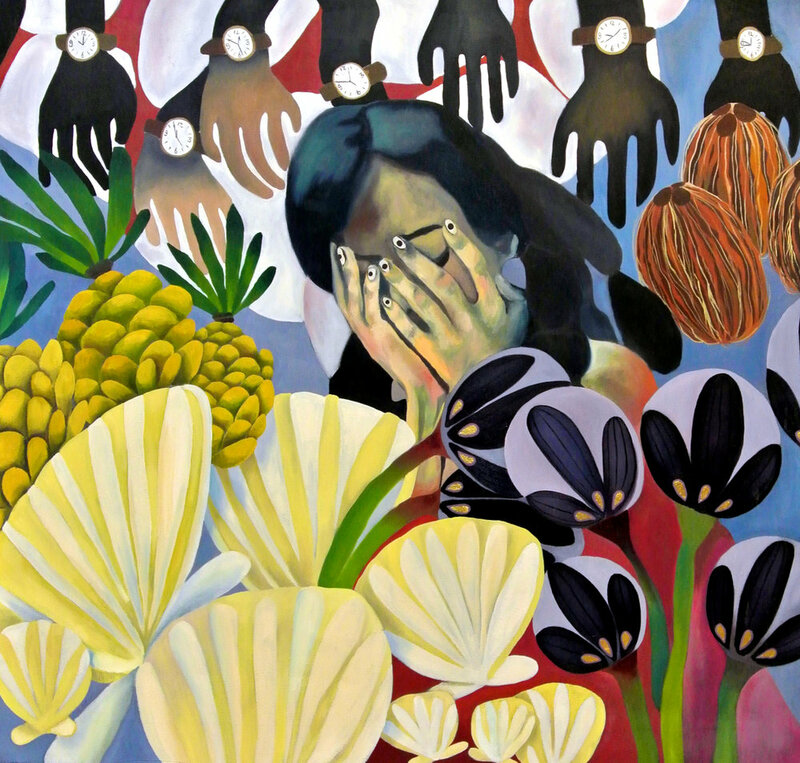 Her imaginative, colorful paintings trace the exploration of her Filipino heritage and bicultural identity. She achieves this through portraiture and collaging flower motifs, while also acknowledging Filipino national symbols and “typical” found objects in a Filipino household. Jalandoni’s paintings parallel her view on the tangibility of embodying two cultures despite America’s habit of labeling by race and country of origin. This summer, Jalandoni will have solo shows at the Berkshire Art Museum (North Adams, MA) and The Little Underground Gallery (New York, NY). Past shows include The Art of Healing, curated by Gabriel de Guzman and organized by Northern Manhattan Arts Alliance in partnership with NY Presbyterian/ Allen Hospital; and The Best of New York, organized by the Asian Youth Leadership Organization. In addition to exhibiting nationwide, Jalandoni has participated in shows in Berlin, Germany, and Paris, France.